Available now on special offer: get your first 12 months for only R1,888.80 instead of R2,699. Starting the 13th month, pay only R2,699/12 months. Available now on special offer: get your first 3 months for only R558 instead of R799. Starting the 4th month, pay only R799/3 months. "VEGAS Pro is a comprehensive, all in one post production “must have” NLE companion with everything you need to create high end projects." "VEGAS Pro has proven itself to be the smoothest editing experience we've had with the fastest editing workflow and that's mainly why we love it. We've created almost all of our videos from music to gaming, vlogs and skits with VEGAS Pro. The new interface in VP15 looks amazing and the option for a darker interface makes editing for long periods of time much easier on your eyes. Also, the hardware acceleration improvements are a game changer for our 4k editing. VEGAS Pro continues to raise the bar and impress us with every release!" "No matter what your goal is, VEGAS Pro 15 and all its features in its entirety got you covered." "Everything you need to edit is within this software, and at the same time, you can achieve astounding results with no hassle." "I love VEGAS Pro 15 because my workflow remains pretty much the same only it has been enhanced by the customization options available. I dig the way you can choose which track options are visible, as well as the color of the interface. 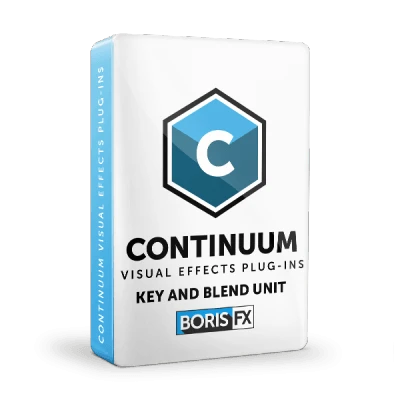 I also like the newly included fx bundles, as well as having a built in Lut plugin, which all make it easy to be creative and explore different ways of finding the exact look I want for any video."